Everyone in your organisation has knowledge and experience that can help improve your business. What you need is simple, proven ways to get everyone working together, sharing valuable internal know-how and taking ownership of the continuous improvement process. This is exactly what Gestaltix kits will do for you. Easy to follow, and proven in the field to deliver tangible value-in-use; everyone has a way to offer innovative insights that will add value to your business. Workshop kits: ‘The kit and just the kit’, modules and courses available to purchase on-line in ready-to-go kit form. Masterclass packages: The kit plus experienced support to learn the ‘how-to’ and deliver results at the same time! 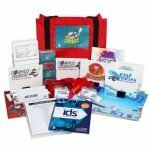 • All of the Workshop kit plus additional proven implementation tools, templates and advice to immediately engage the team in delivery! • Gestaltix facilitated Master Class session with unlimited remote coaching and mentoring of facilitators. 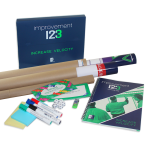 In 3 easy to follow kits, Improvement 123® provides everything you need to empower your teams with just the right amount of Lean-based theory, strategy and practical tools so that they can immediately create a succession of lasting improvements. With Improvement 123, everyone has a way to create order, add value and increase the velocity of your business. Gestaltix® IDS (Identify, Define, Solve) cuts through much of the complexity often encountered in problem-solving and process improvement methodologies and focuses on the key practical tools and know-how that can be readily implemented within workplaces. The IDS Master Class Guide, Process Simulation Kits and train-the-trainer Master Class make it easy for organisations to put proven tools in the hands of the people who are experiencing the problems, as they are, more often than not, the ones who hold the keys to solving them. 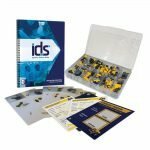 The IDS-Problem Solving Workshop kit provides the team with simple, practical improvement tools integrated into the A3 problem solving roadmap; proven to resolve 80% or more of the day-to-day issues! IDS-Process Improvement Workshop kit provides tools and team practices to streamline & reduce the complexity of work processes, simplify the ‘back-stage’ workflow and deliver a better ‘on-stage’ customer experience!